Samsung looking to push "Premium Suite" update to Samsung GALAXY Note instead of Android 4.0? Sometimes it is hard to know what a manufacturer has in mind unless it is said clearly and completely. Other times, no matter what is said, it is best not to believe it until you see it. Back in December, Samsung said that instead of delivering Android 4.0 to the Samsung Galaxy S and the Samsung Galaxy Tab, it would update both devices with a "value pack" that would bring better multitasking, faster web browsing, improvements to the camera and new widgets to the pair. The Korean based manufacturer 86'd the "value pack" in January, and those two units might be stuck with Gingerbread forever. 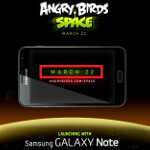 But what can be made of a message at the end of the Angry Birds Space teaser 2 for the Samsung GALAXY Note? It is there that you will find words about a "Galactic Upgrade with Premium Suite coming soon." And while the International version of the device was expected to receive the Android 4.0 update sometime in first two quarters of the year, there is absolutely no word about Ice Cream Sandwich. So if you are asking us if Samsung GALAXY Note owners should be a little concerned about receiving the latest Android build, for the moment we would say "Yes". That is not to say that the update will never come, it just seems a little strange that such a high exposure video would promote this "Premium Suite" instead of Android 4.0. Besides the end of the video, the beginning of it hints at March 22nd as being the date of some sort of update for the "phablet". It could simply be the special version of the Angry Birds Space game that Rovio has allegedly prepared for the Samsung GALAXY Note as an exclusive for the device. It could include an extra bird or two or more levels. One thing we can say is that whatever download comes to that 5.3 inch screen, it probably won't be Android 4.0. Beat me by a minute.. lol might as well go with custom roms.. Unless you have the international note, your gonna be let down as far as custom roms go. Not many devs working with the US model. Any developer would be smart enough to go with the international note. This US model is a fluke. There two completely different devices. I love the note but i question its future. I just hope i didn't make a mistake on locking in a contract wit at&t. Alright I've made up my mind. Im exchanging the note for a HTC One XL. HTC has always been reliable with their flagships. Once I've already gotten used to ICS, its hard to go back to gingerbread (especially seeing that im no fan of touch wiz). Even over on xda there isnt hardly any development going on for the US note. I know it was just released but i just have a feeling that Im going to be let down with my expectations for this device. At least with the One XL, I'll be comfortable knowing that its HTC's main priority. I can't say the same about Samsung. Newest snapdragon not good enough? Not for me. S4 catches up to the exynos 4210, which is great. Exynos however is going well beyond that this year. The SGS3 should be out within a few months of the first S4 phones. The Exynos 4212 dual core is nearly 50% more powerful, the 5XXX quad core is nearly 100% more powerful. Is it worth waiting 2 more months for a 40-100% increase in power compared to an exynos/S4? I think so. The S4 is better then the 4210 so deal with it. Not catch up but better. when real world testing is done, not "reference design testing", the S4 is a hair better, yes. But that is "catching up". If it was truely an "A15" competitor, it would compete with this years A15's, not with last year's A9's. The exynos 5xxx A15 dual core is supposed to be 2x as powerful as the current exynos. That obliterates that S4. I really hope they don't. I only bought my at&t Galaxy Note because it was supposed to get ice cream sandwich soon. For a few days now i feel like I've made the wrong decision with this device. The 5.3 inch amoled suckered me in but the lack of software integration is killing my attitude towards this phone. if you actually read this it says with premium suite not that it is not getting ics, if the writers for pa would actually read something and not between the lines, it would help everybody to understand it. Thanks Alan F. to just throw an article out there to piss people off with absolutley no info at all. This could mean 2 things that PA is correct we are getting Samsung's new OS called "Premium Suite" how els will they issue this new version of Angry birds just to the Samsung Galaxy note user? through a new OS of course.. to me it looks like Samsung is advertising that its either exclusive to Galaxy note to attracted attention to it or we get it exclusively before others do to advertise the Galaxy Note also.. Remembering its still a brand new devise and not yet released in allot of major country's e.g Australia ! we get it in march around the 22nd ( I just couldn't wait and ordered one from Hong Kong lol ) Or its the name of the new Angry birds .. hmm have no idea im so confused now . Man I can't beleive what I am reading! Why Samsung ignored their with customers with these kind of news? Why they in rush of creating clone devices & not supporting them. Value pack and now this? Ah this is disgusting. Dude chill this "INFO" that PA is based this artical on is a video for a game advertising 2 things a new version of angry birds and the galaxy Note .. the note is still not released in allot of country's yet like Australia! Also Australia is getting it in march so could be advertising for the 2 in one ? Well I sure won't be buying another Samsung device again. Took long enough to get Gingerbread on the Droid Charge. Now HTC has said that the Thunderbolt (basically same specs) will be getting ICS!!! 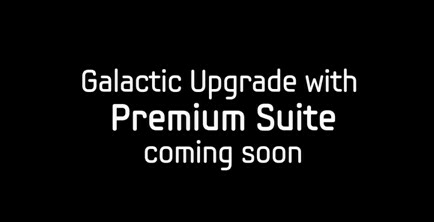 Galactic upgrade premium suite sounds like a special version of angrybirds in space to me. If you don't give the Note ICS after you said it would, you will have some very pissed off people. they never said the american S3 draggin note would get it. When they announced it, the only Note in existence was the Exynos international Note. Besides, this is a rumor, not a confirmation. touche, senior. :) well, in that case, it came from Samsung, so you should expect the update. Again, this article is pure rumor mongering, not fact.. so who knows. But yea, if it comes from the horse's mouth, then it better happen. Your correct, you'll get it when jellybean comes out. Waiting for CM9 for the Note. That is if samsung won't deliver. Nowaday I really hating all the speculation. "Sometimes it is hard to know what a manufacturer has in mind" If don't know, then one should shut-up instead creating more specualtion. Remember, no one owe you an answer. If don't like it, try manufacture your own device and throw all the informations to the world all the time.